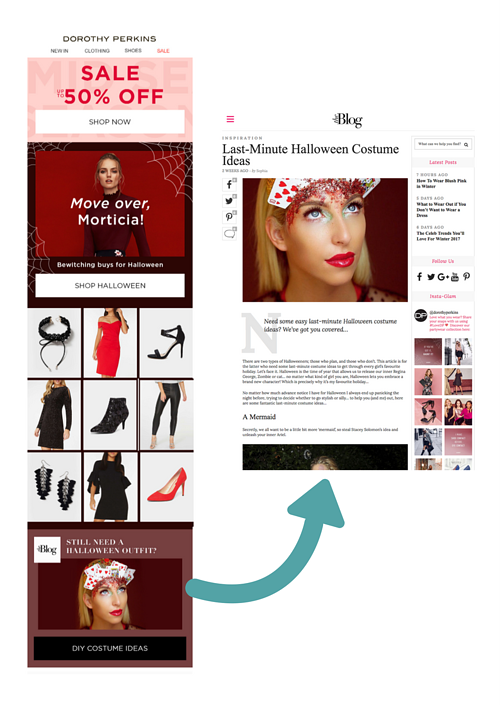 Why we love it: From an eerie endless loop GIF in the header to a handy Halloween makeup tutorial (featuring makeup influencer @Luevue), skincare supremos Nip + Fab pulled out all the stops this Halloween. 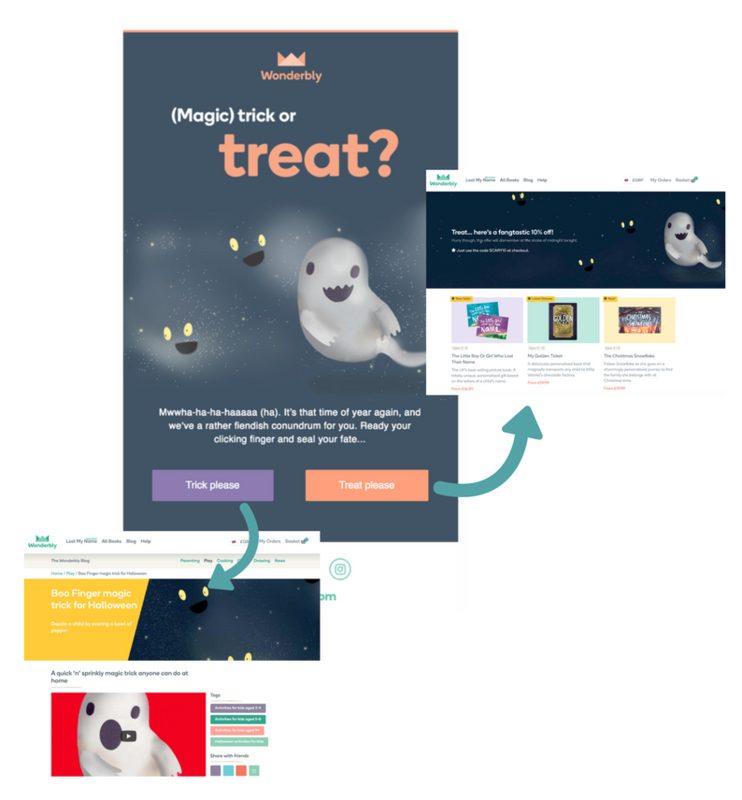 Why we love it: Our pals at personalised children's book retailer Wonderbly treated subscribers to the following mail out this week, giving recipients the choice between some fun Halloween-themed content (who doesn't want to impress their friends with a spooky magic trick?) or a tasty 10 per cent discount. Why we love it: Who says treasure hunts are only for Easter? This October, faux fur fashion brand Shrimps sent out an email promoting its super(naturally) cool interactive on-site experience, inviting shoppers to 'find ghosts' to win a prize. Extra points for great GIF-age. Why we love it: If macabre makeup or plastic spiders just ain't your jam, this more wholesome Halloween email from Hunter might be more up your street. 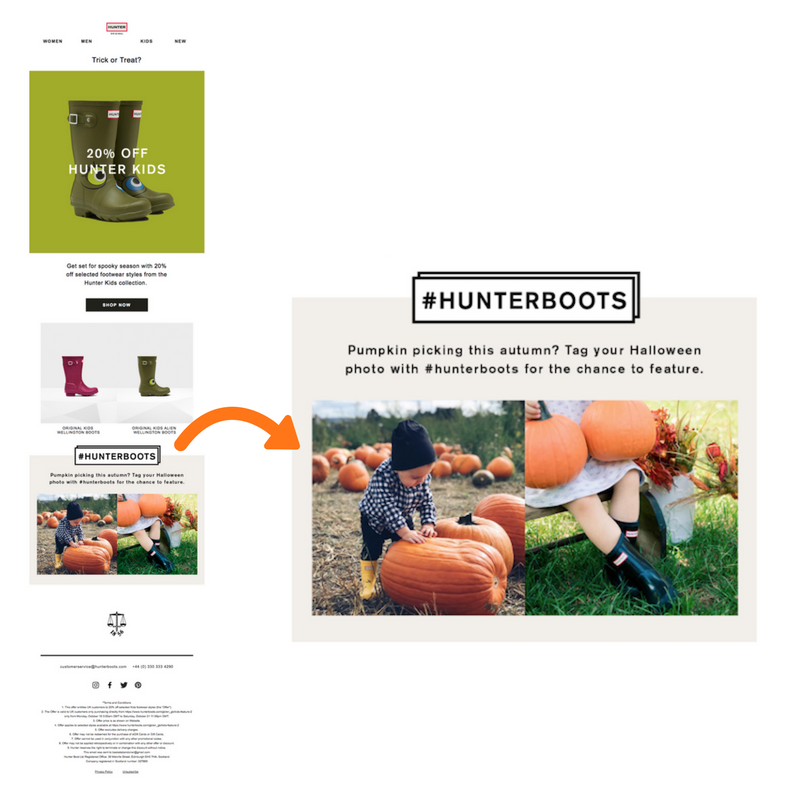 We love how the brand uses the occassion to promote its #HUNTERBOOTS competition (and simultaneously bag itself heaps of autumnal user generated content (UGC) in the process). 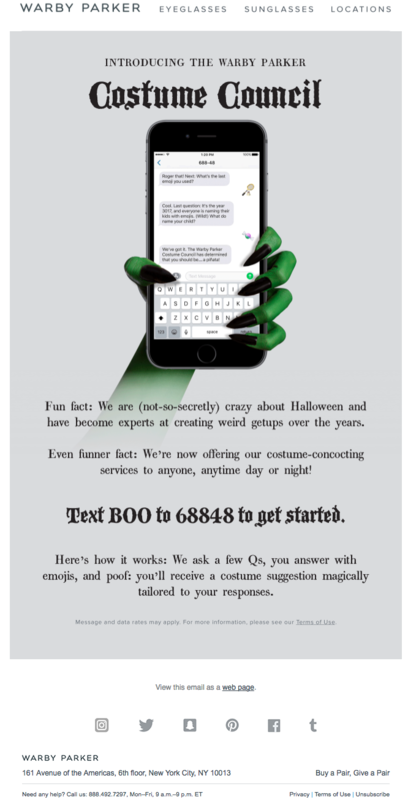 Why we love it: Ometria's all-time marketing crush Warby Parker won at Halloween once again this year, with its ingenious 'Costume Council' SMS chatbot—perfect for the indecisive Halloween party-goer. By simply replying to questions with an emoji, subscribers were treated to a personalised costume suggestion. We ❤️ you, Warby. Why we love it: Along with a great subject line ('Move over, Morticia! 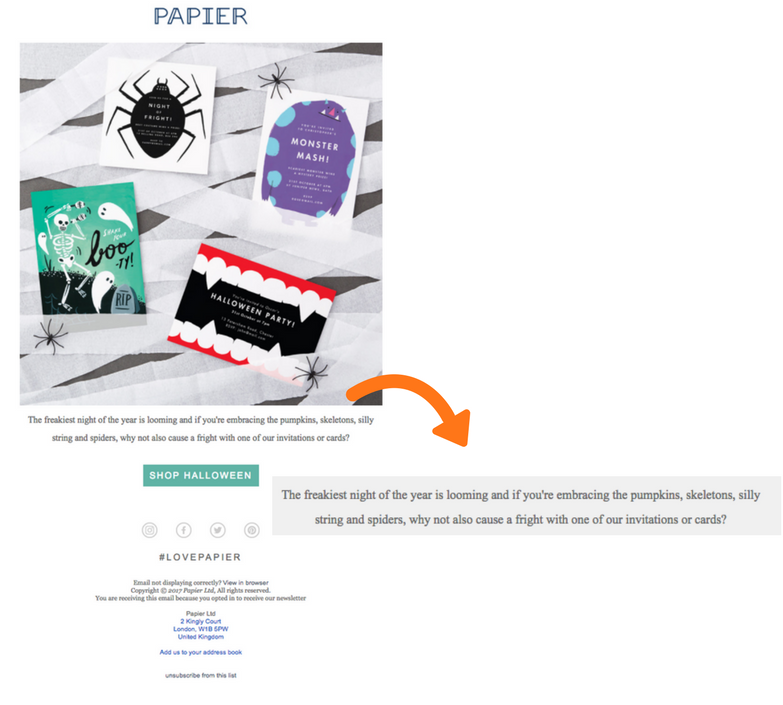 '), we loved how Dorothy Perkins included a link to a useful blog post on last-minute Halloween costume inspo. We'd have added links to relevant items in the store to give it an added element of spooky shoppability (one for next year, perhaps?). We hope this post has fueled your inner-witch, showing you all of the spook-tacular ways your brand can mark All Hallows' Eve next year. To check out more boo-tiful examples, check out our Halloween Pinterest board below. Until then: "creep it real".